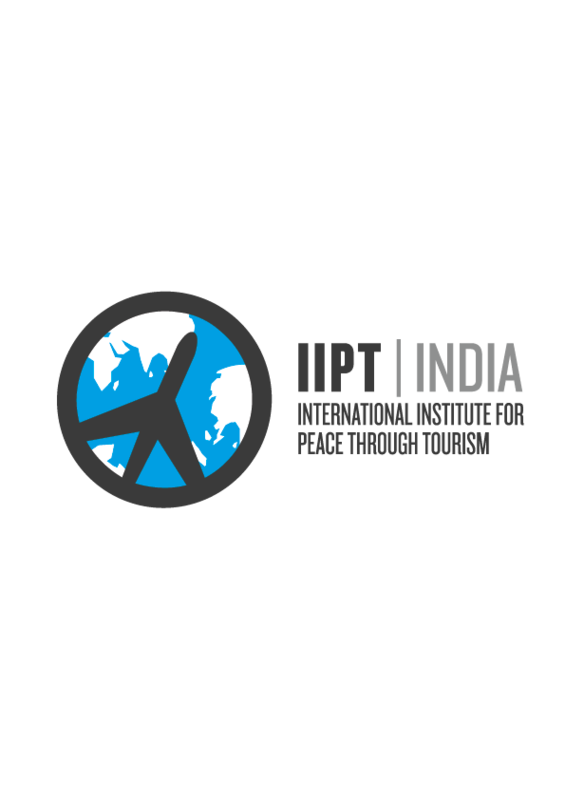 Launch - IIPT India was officially launched by the Secretary for Tourism, Govt. 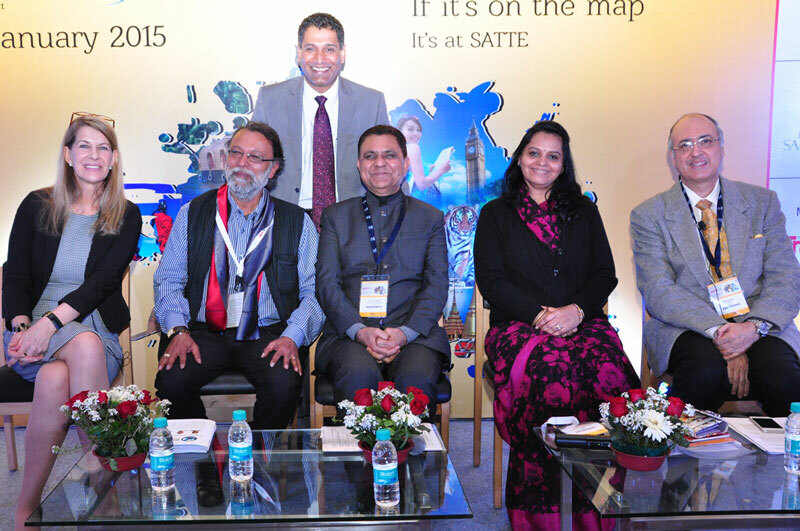 of India at SATTE in New Delhi on 30 Jan 2015 – the very day on which Mahatma Gandhi was assassinated. 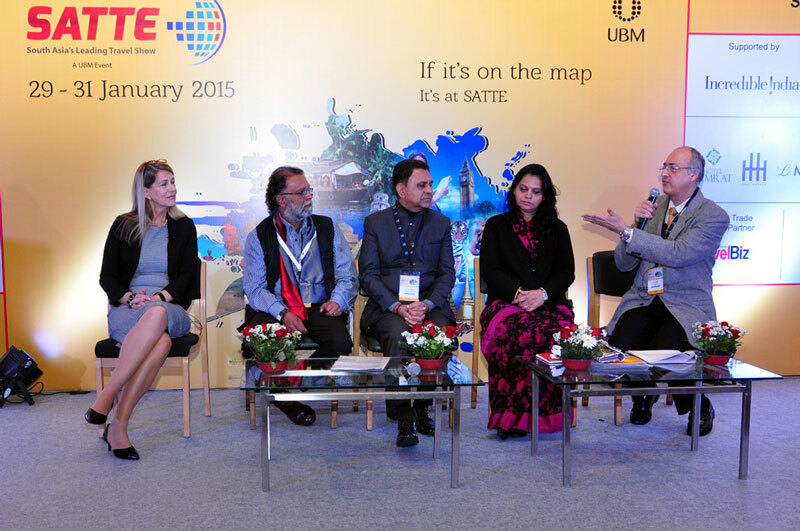 The panel discussion included Ms. Valsa Nair Singh, Secretary for Tourism, Govt. of Maharashtra, Ms. Rika-Jean Francois, CSR Commissioner for ITB Berlin, Mr. Dipak Haksar, COO of ITC Hotels, Mr. Ajay Prakash, Founding President of IIPT India and Dr. Lalit K. Panwar. ASSOCHAM, FAITH and the Ministry of Tourism have endorsed the initiative. 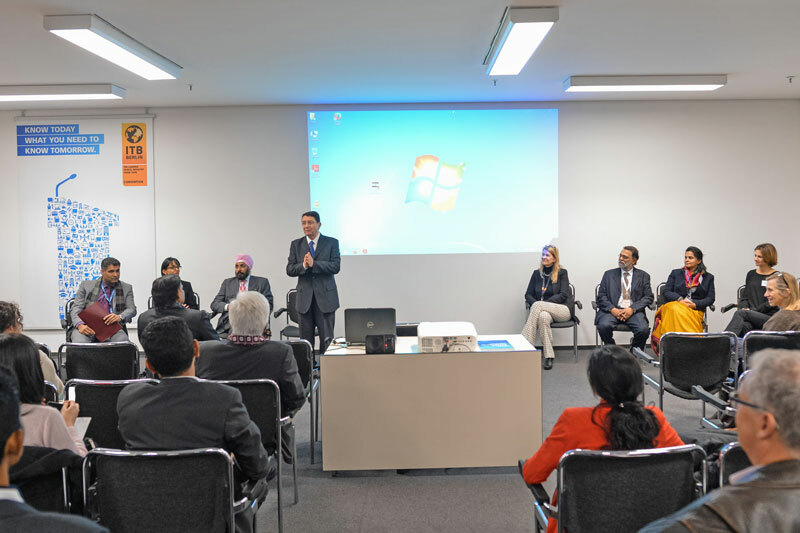 Participation in Global Symposium - IIPT India, under the leadership of Ajay Prakash, President and Kiran Yadav, Vice President led a group of 14 students of Management to participate in the IIPT Global Symposium held at Johannesburg, South Africa from 16 to 19 Feb 2015. The Symposium was dedicated to honouring and furthering the legacies of the three greatest apostles of Peace – Mahatma Gandhi, Nelson Mandela and Martin Luther King Jr. Mr. Ajay Prakash addressed a global audience of over 200 delegates from 30 countries. The students participated in the Youth Network Forum and had the opportunity to interview and interact with global personalities like Mrs. Naomi King, Ms. Nandi Mandela and Dr. Taleb Rifai, Secretary General of UNWTO who officially appointed them as the first Indian Student Ambassadors of Peace and issued them certificates. 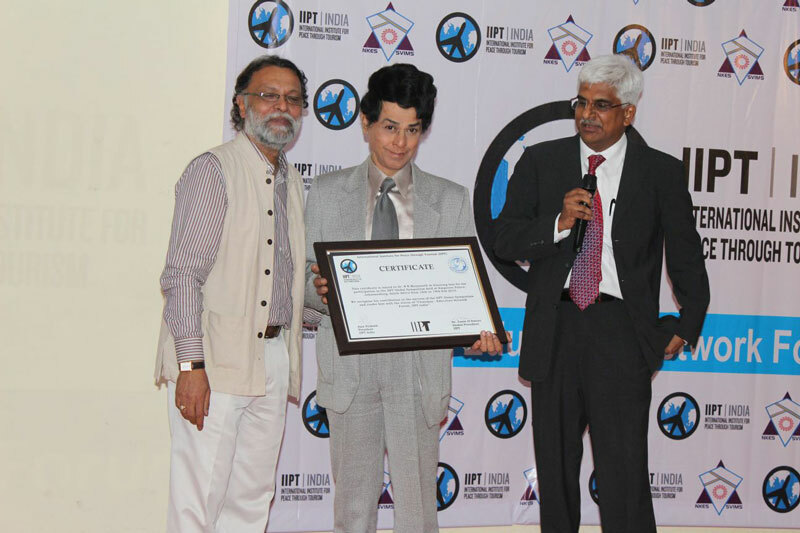 The students presented Dr. Rifai with a copy of the IIPT Credo of the Peaceful Traveller signed by over 540 Indian students. Collaboration with International Universities - As a first step, we have signed an MOU between Livingstone University, Zambia and the Sir Visvesvaraya Institute of Management, Mumbai during the Symposium. 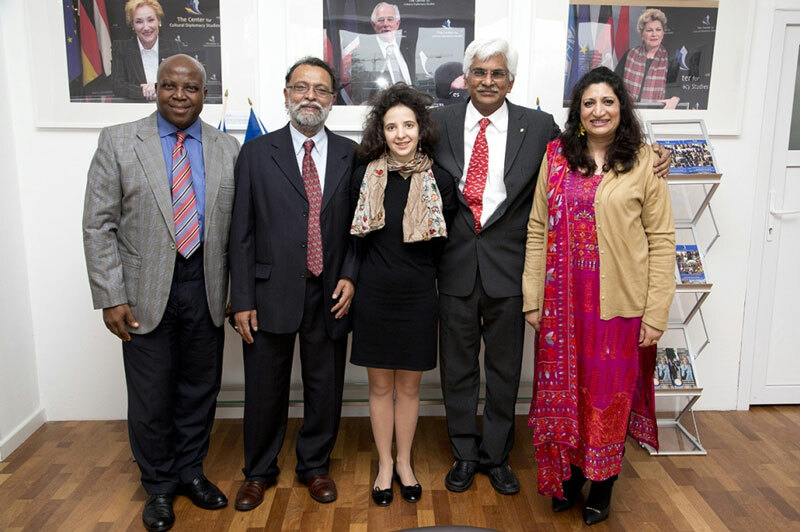 The Educators Network Forum India is to be a part of the IIPT International Consortium of Collaborating Universities to facilitate the induction of Indian Universities and Travel Trade Institutes like IITTM into its global programs, including student and faculty exchanges on a reciprocal basis. Click here to see a news report. 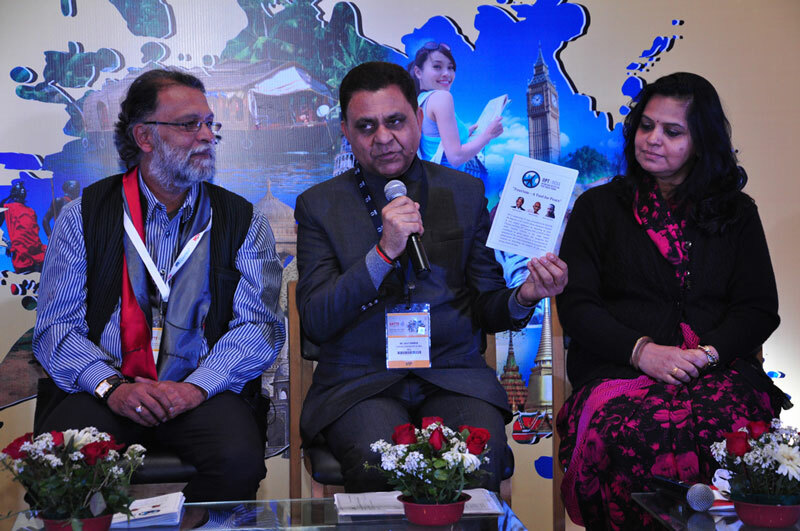 Participation at ITB Berlin - IIPT India conducted a session on Inbound Tourism and Celebrating the Woman Traveller at the ITB Convention on 4th March 2015. Dr. Taleb Rifai was the keynote speaker while the panel comprised Ms. Anita Mendiratta, Ms. Rika-Jean Francois, Mr. Suman Billa, Jt. Secy. 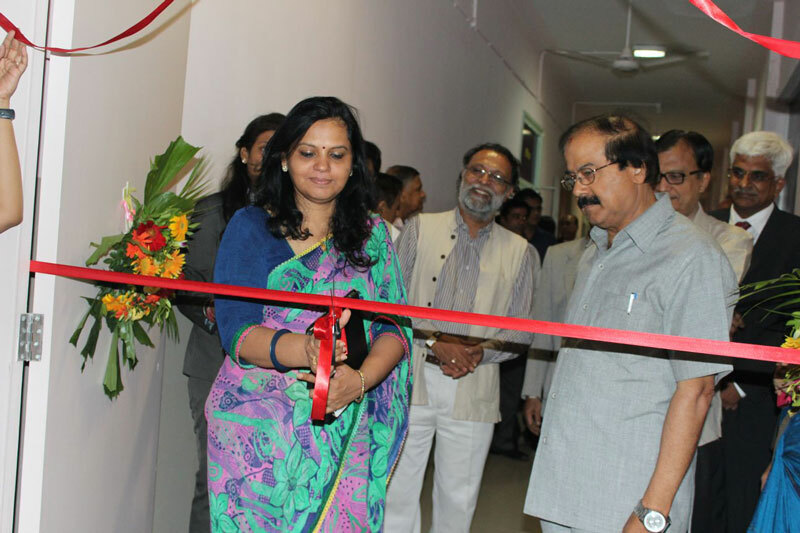 Tourism GOI, Ms. Valsa Nair Singh, Tourism Secy., Govt. of Maharashtra and Mr. Ajay Prakash. 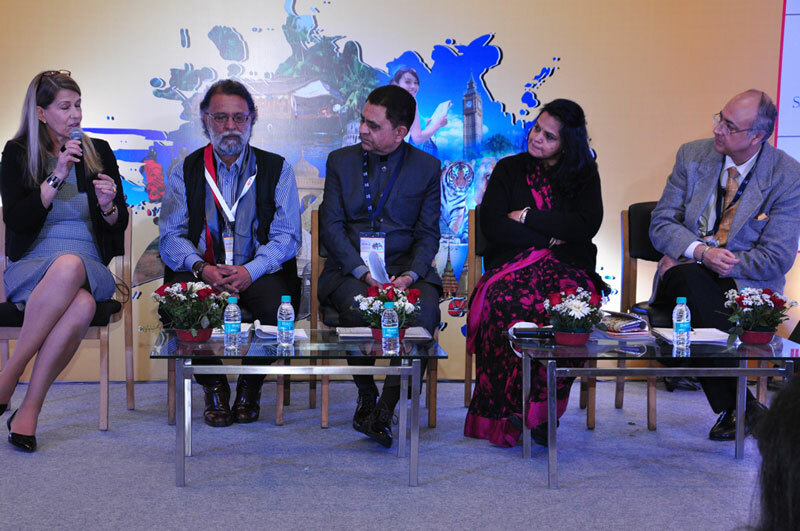 The session was admirably moderated by Mr. Sheldon Santwan, COO of TravelBizMonitor. 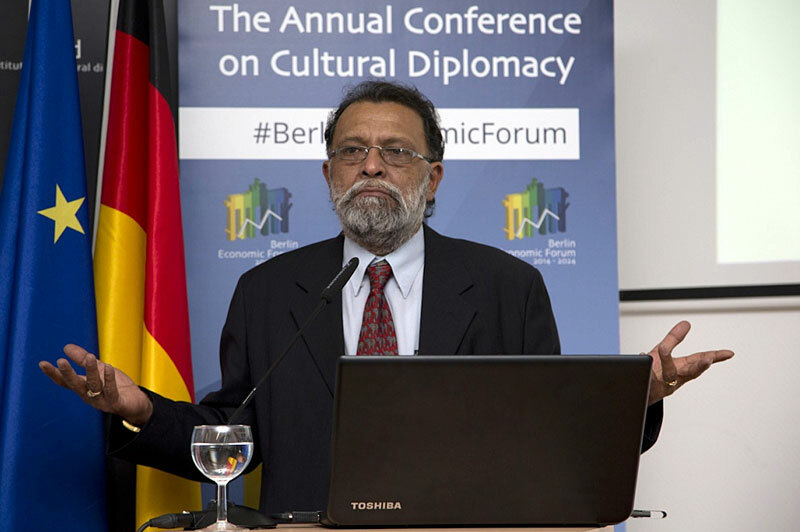 Cultural Diplomacy - On 6th March 2015, Mr. Ajay Prakash was invited to speak on “Innovative Nation Branding” at the Berlin Economic Forum organized by the Institute for Cultural Diplomacy, Berlin. 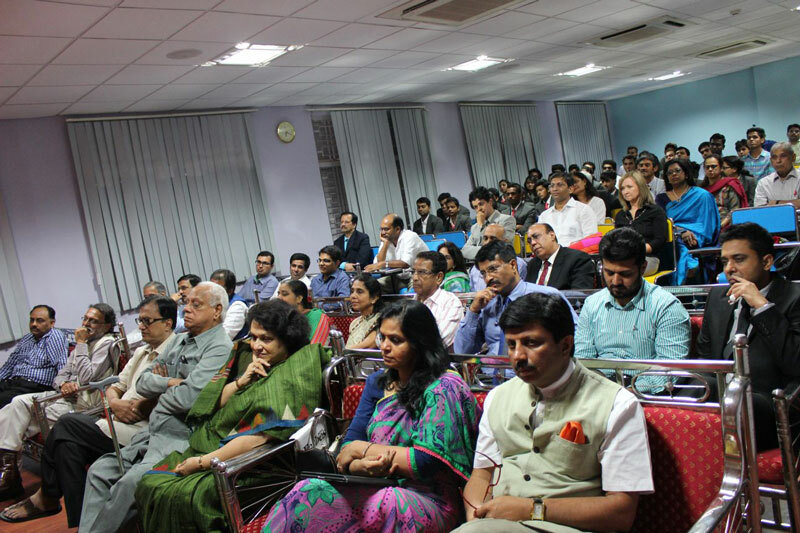 The audience comprised diplomats, educationists and international students of the ICD. 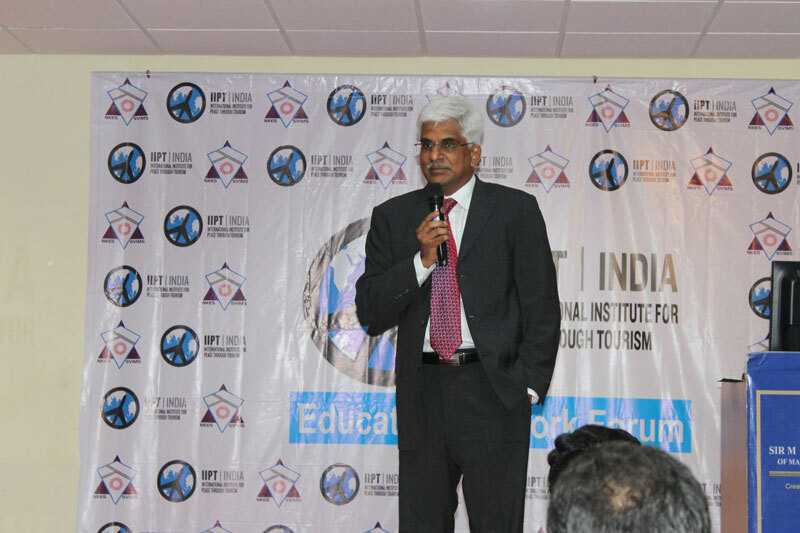 Launch of Educators Network Forum – IIPT India launched their educational initiative in tourism and hospitality, ‘Educators Network Forum’ (ENF), at Sir M Visvesvaraya Institute of Management Studies & Research (SVIMS) in Wadala, Mumbai on 28 April 15. 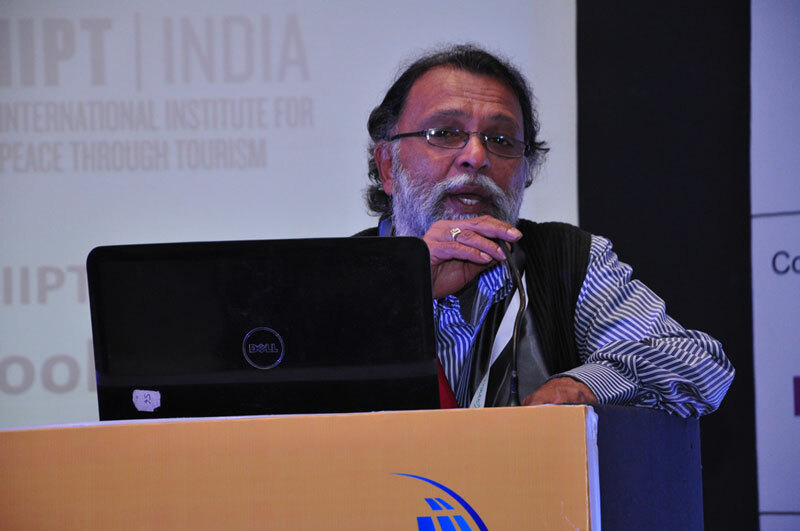 IIPT at the Maharashtra International Travel Mart - IIPT India conducted two knowledge sessions at the MITM in Mumbai- "Tourism- A Powerful Tool for Peace" on 28th September 2015 and “The Critical Role of Women in Tourism & Strategies to Empower Women” on 29th September 2015. The Travel Mart concluded with the first "IIPT India Awards for Empowered Women in Indian Tourism" at the JW Marriott, International Airport, Mumbai.